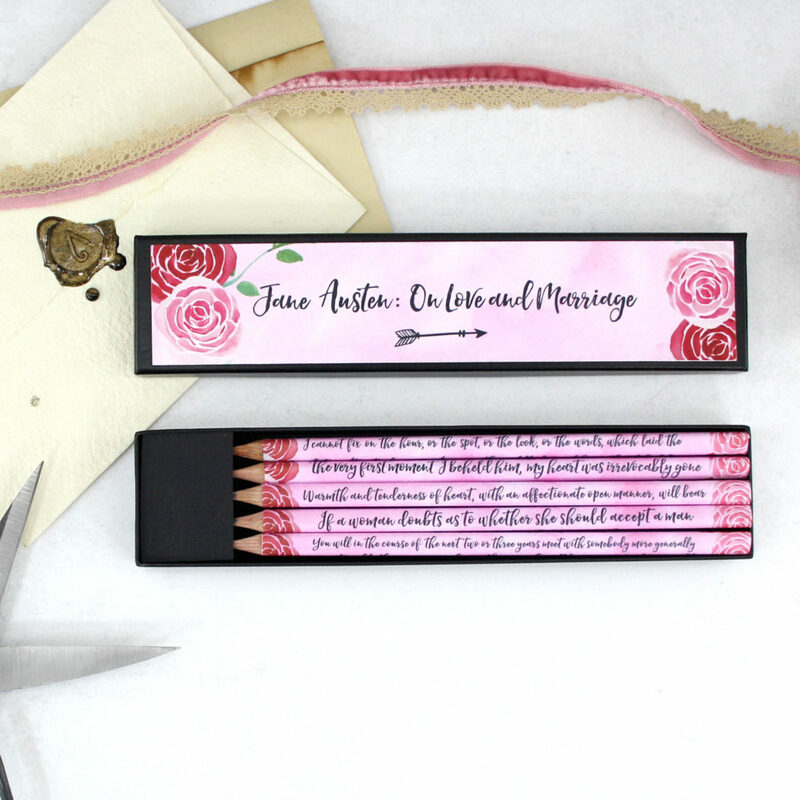 Jane Austen on love and marriage. 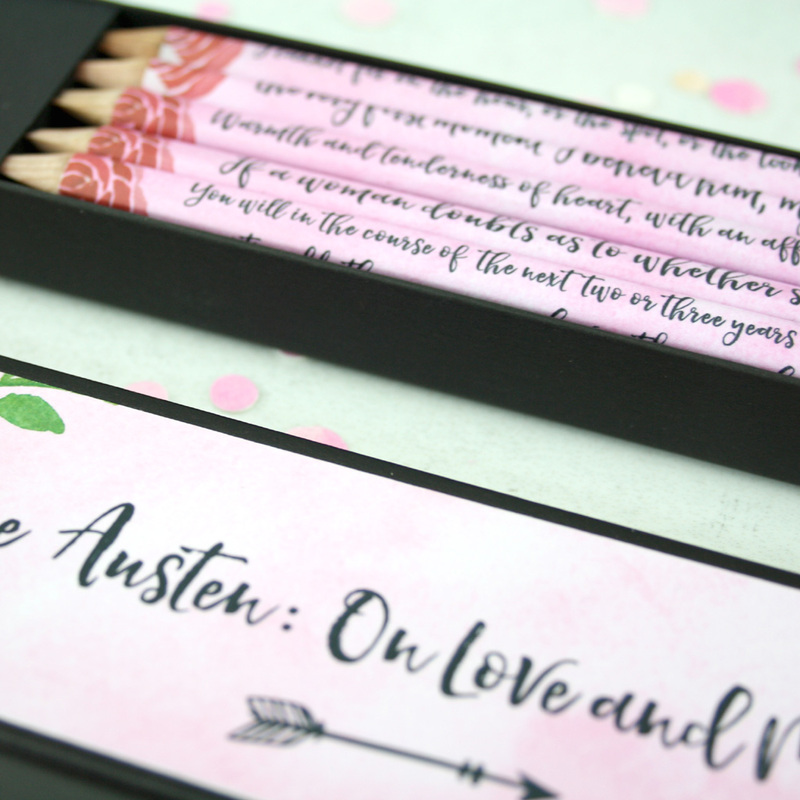 Austen’s wisdom on falling in love, all in one of my custom literary pencil sets. 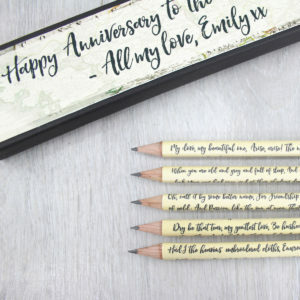 The perfect gift to give this Valentines Day. 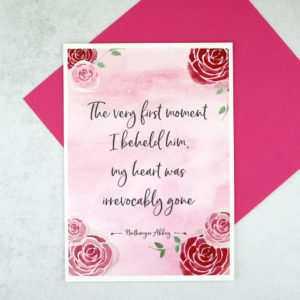 AND it is also ideal to give as a Galentines present to your bookish bestie! 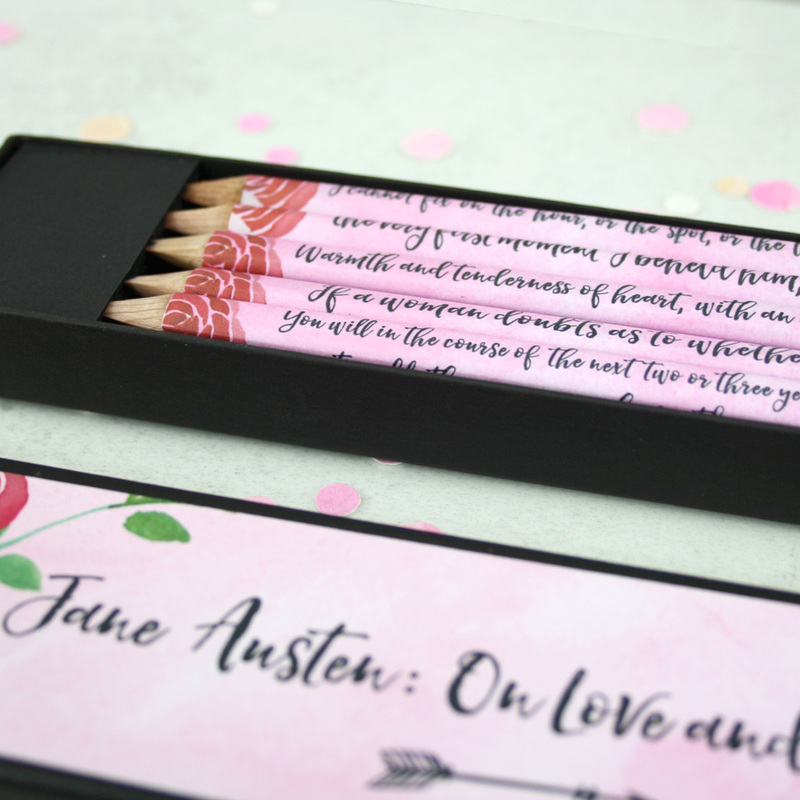 Taking quotes from her letters and novels I have compiled five of my favourite romantic Jane Austen quotes. 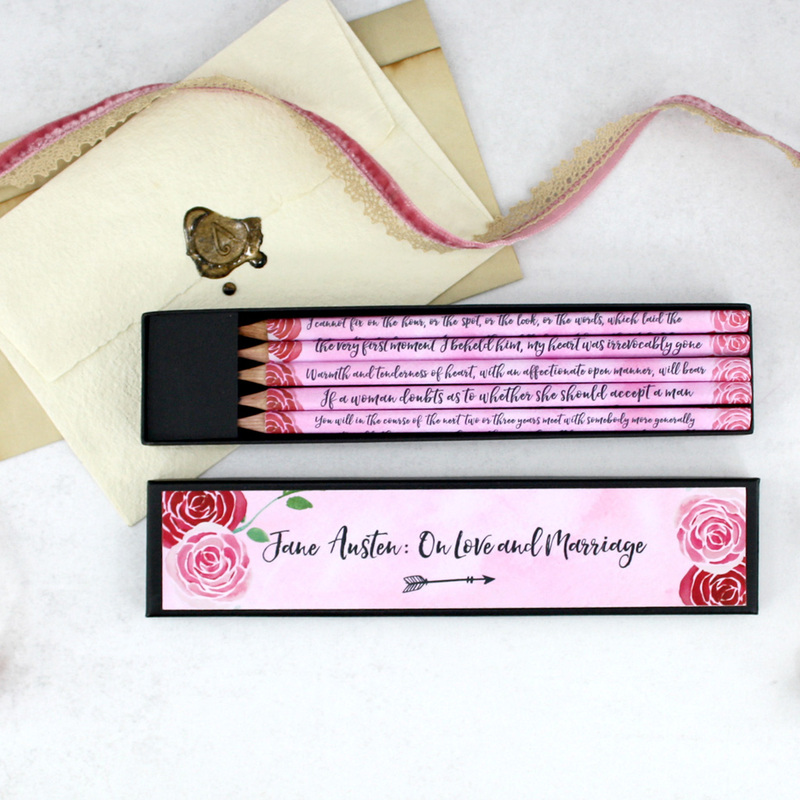 A collection of romantic quotes from the ever wise Jane Austen have been carefully selected for this pencil set. 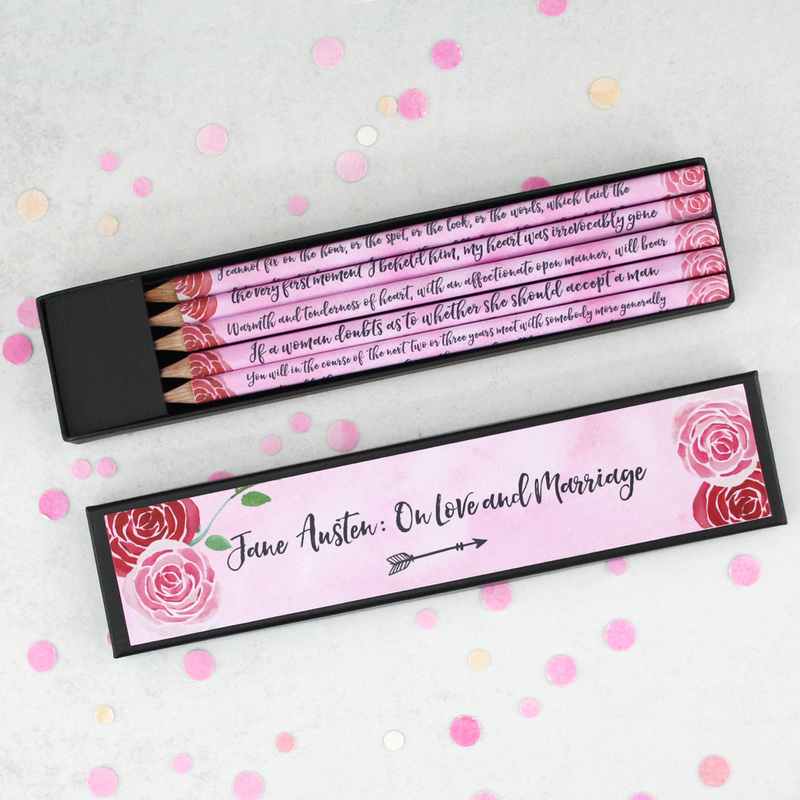 Each of the 5 pencils in the set has a different Jane Austen on Love and Marriage on it. 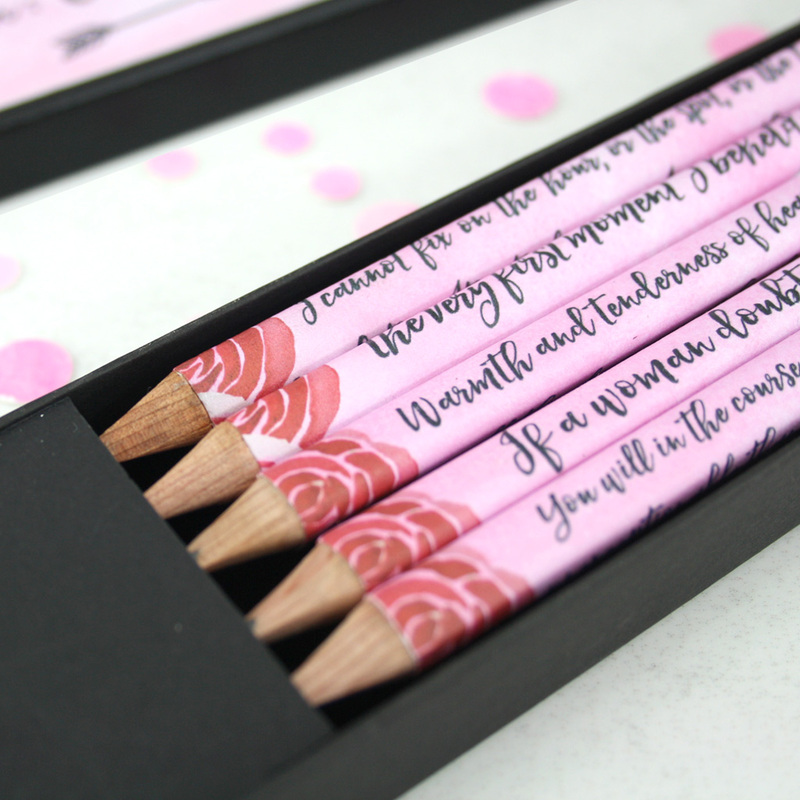 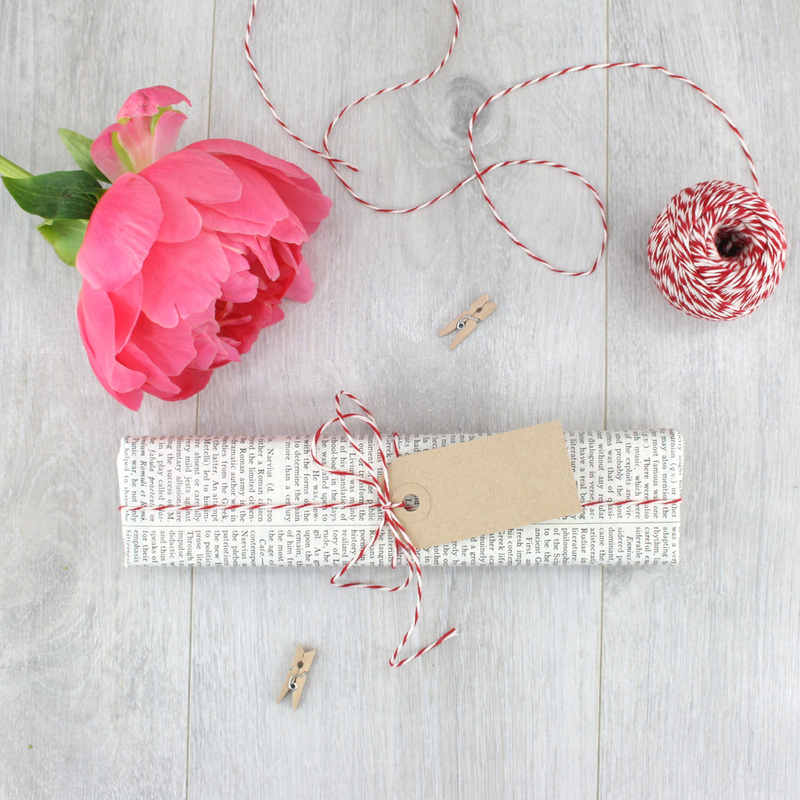 Making them a beautiful gift to give your bookish best friend this Valentines Day. 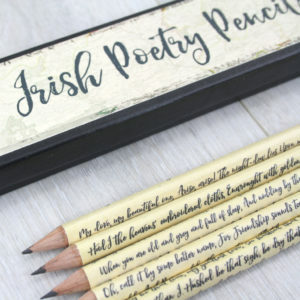 Because you should always celebrate your literary friendships! 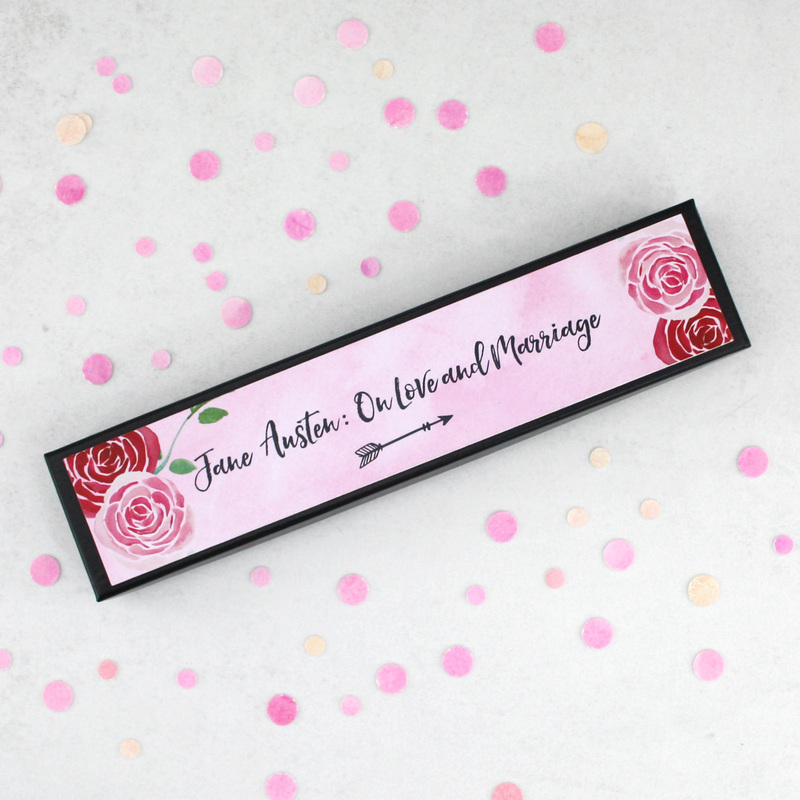 You can also have your pencil box lid personalised with your own wording if you would like. 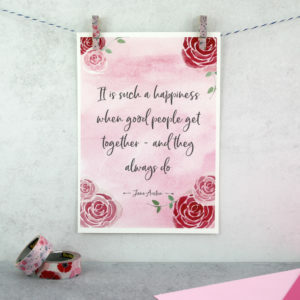 You will in the course of the next two or three years meet with somebody more generally unexceptionable than anyone you have yet known, who will love you as warmly as possible, and who will so completely attract you that you will feel you never really loved before.